Henderson Place, NYC? Where’s That? 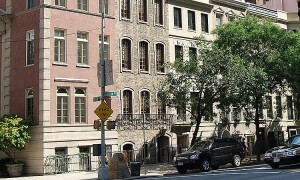 Henderson Place is a beautiful, historic district located on Manhattan’s Upper East Side. Many New Yorkers have never heard of it, and fewer have actually visited it. Read on to find out more information on this beautiful, tiny enclave. If someone asked you how to get to Henderson Place in NYC, would you respond with a blank stare? You’d be forgiven if you did; many New Yorkers have never even heard of it, let alone know where it is. 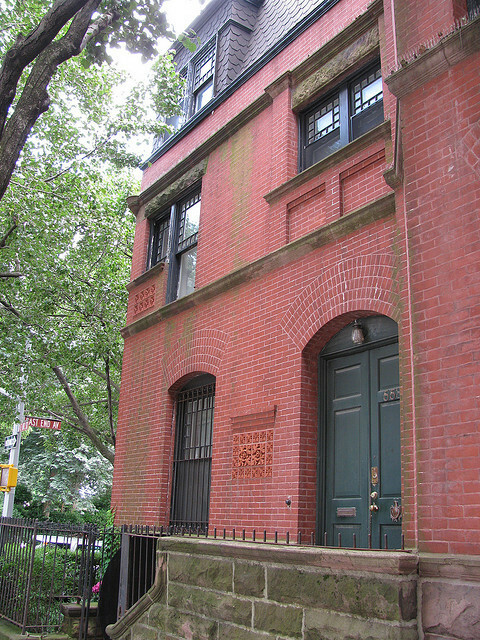 Henderson Place is a gorgeous, pocket-sized historic district in the Yorkville area of NYC on a cul-de-sac on the east side of East 86th and East 87th Street between East End Avenue and York Avenues. Whether you’re planning to move to the area, or just want to find out more, read on. Originally an enclave featuring 32 Queen Anne–style houses designed and built in 1881 by developer John C. Henderson, the area only retains 24 of those original homes today. Henderson built the homes to provide housing for persons of limited or “moderate” means. Entire buildings were rented at a rate of $650 per annum at a time when regular yearly townhouse rental rates were going for between $750 and $1500 per year. In spite of the fact that the homes were intended for lower-income tenants, Henderson didn’t skimp on the details of the homes, lavishing them with the same gorgeous extras that he used on more expensive builds, including elements like projecting bays, wide arched entryways, and detailed windows. The area was granted landmark status in 1969. If you’ve got an afternoon to spare, take a detour out of your day and visit Henderson Place. It may be small in size, but it’s big on beauty and history, and it’s completely worth the visit. The 4, 5, and 6 trains are the only trains currently servicing the Upper East Side, so you’ll have a 20-minute trek back and forth from the train if you get off at 86th Street. You could also take a crosstown bus like the M57 and transfer to the M31, which rides north and south on York Avenue. Only take that way if you’ve got all day! Homes periodically come up for sale on Henderson Place, so if you’re interested in purchasing one, let your broker know. Brokers often have the inside track on choice townhomes that are going on the market long before the general public does. If you’re interested in living in other parts of the area, you can choose from a wide variety of housing options, from expansive postwar co-ops on East End Avenue to affordable walk-up apartments in other parts of Yorkville. East End Avenue feels like a secluded suburb in the city, with roads that end in cul-de-sacs giving the whole area an exclusive, cut-off vibe from the rest of the city. Families moving to the area are drawn to schools in the area like the Chapin School, Brearley, and the East Side Middle School. 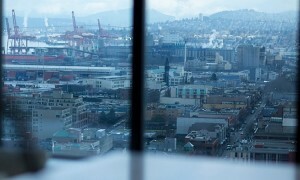 Loft Living is Cool, But is It for You? You work in the city of Las Vegas. And while nothing compares to the Strip, nothing beats having a peaceful place to call home and relax in. That's what makes real estate in Henderson a hot commodity.